The Milan based MAXOPHONE arrived late to the game within the explosion of Italian progressive rock bands that dotted Italy from every conceivable nook and cranny and as a result, the band's career was cut short to four years and one self-titled album which woefully went under the radar of the original scene due to their one and only album coming out in late year of 1975 just as the prog scene was winding down and other forms of musical expression were stealing prog's thunder. MAXOPHONE would unknowingly have to play the patience game because once the great prog revival of the 90s would hit, the legions of 70s bands that came before would get a second chance to prove themselves and as a result, MAXOPHONE proved they had the chops to sustain interest well beyond their era and has become one of the most respected Italian prog rock bands that sits high in the pecking order with other greats like PFM, Banco and Museo Rosenbach. Despite fitting snugly into the Italian symphonic prog tag that found the usual elements of symphonic prog, classical, operatic vocals and off-kilter time signatures with rock elements, MAXOPHONE went above and beyond the call of duty in creating one of the most diverse albums of the entire 70s Italian scene and although it didn't get their just dessert in the initial four year run that lasted from 1973-77, the musicians on board proved that they were in it for the art and not the fame and fortune (you know how profitable prog is!). The band which consisted of six members (and a fair number of sessions musicians) took many years to craft their one and only album which was the alchemic amalgamation of two different pools of musical experience brought together and teased out into a perfect balance of talent by outstanding multi-instrumentalists. The band consisted of Sergio Lattuada (keyboards), Roberto Giuliani (guitar, piano), Leonardo Schiavone (clarinet), flute and saxophones), Maurizio Bianchini (vibraphone, horn and trombone), Alberto Ravasini (bass, acoustic guitar and flute) and Sandro Lorenzetti (drums), plus some guests on the harp, violin, cello and double bass. Half of the members were graduates of classical training whereas the others were heavily experienced in various rock bands. The result was an interesting blend of all the experience of the members involved and the band took years to craft their modernly deemed magnum opus into a true musical gem. While MAXOPHONE pumped out a mere six tracks on their sole album of the era, the running time goes for the gusto and tackles not only the usual fusion of classical and rock but also has a stealthy supply of jazz, folk, Neopolitan traditional music along with avant-garde touches. 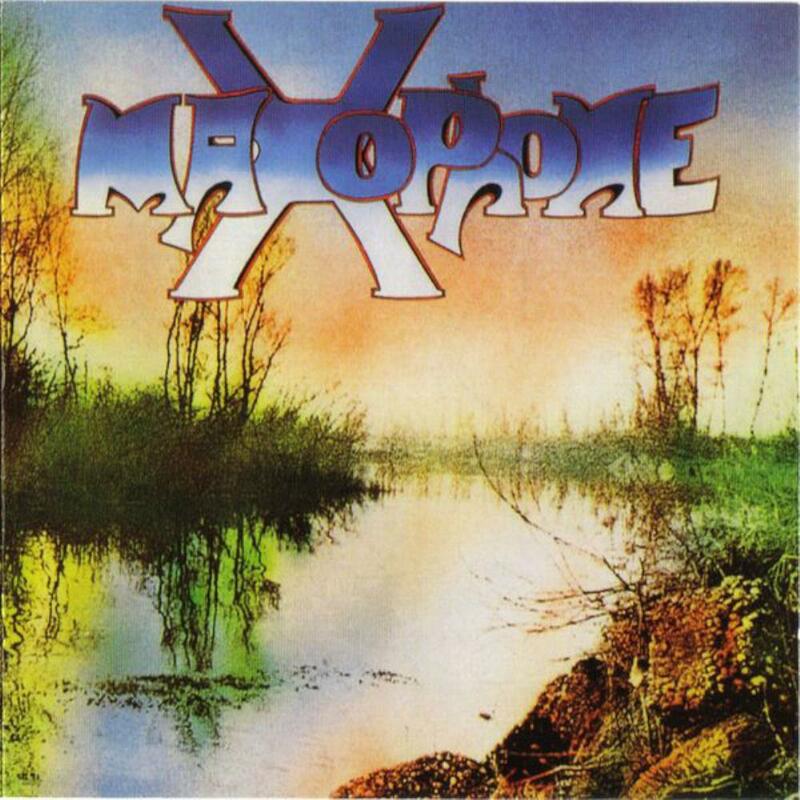 Like almost all of Italian prog of the era, MAXOPHONE began their journey with strong melodic developments but once established, deviated into some of the most complex journeys within the history of Italian prog with off-kilter time signatures, unexpected dynamic shifts, dense atmospheric drifting and an uncanny attention to detail which allowed the band to effortlessly shift gears from soft pastoral moods to heavy guitar or keyboard dominated frenetic attacks. The various musical textures delivered is uncanny and MAXOPHONE was one of the rare bands within the whole Italian prog scene to add clarinet, vibraphone and harp. Having hit the tail end of the whole scene and attempting to copy the marketing skills of other bands like PFM, this album was released with both Italian lyrics (1975) and then in English the following year (1976). Italian experiencing this in English. MAXOPHONE, despite their best efforts, was doomed in their initial run. The prog scene was winding down and the bigwigs of the day already had the gaze of those who were paying attention. The label Produttori Associati was not accustomed to signing prog acts but rather focused on soundtracks and jazz. MAXOPHONE probably slipped through the label's cracks due to the fact that they implemented more jazz elements than the ordinary symphonic prog act not only in the sultry sax solos that occur sporadically but also in the rather unorthodox jazzy compositional constructs that add an extra layer of complexity to the already breathtaking classically driven rock sequences. Despite this album having been released and utterly ignored, the rediscovery of the prog scene has been quite generous and has ranked this amongst the best of the best. This is definitely one of the more demanding examples of the Italian prog scene. Despite the strong melodic deliveries strewn about, the variations that change frequently dictate a dedication of multiple listens for this to have sink in. While usually i require a mere single listen to the max five for an album to sink in, MAXOPHONE's eponymous album has taken well over ten. While at first i was unfazed, after many, many listens this has at long last revealed its secrets as if i've broken the code that allows premium access into the world that was constructed so many decades ago. In that regard MAXOPHONE is a real trip. There are many segments of this album that are instantly addictive but the whole enchilada doesn't necessarily gel until it's penetrated on a deeper level, however after the album has sunk in, it's undoubtedly the case that this is indeed one of the highlights of the entire Italian prog scene with a magnanimity that has rarely been matched.